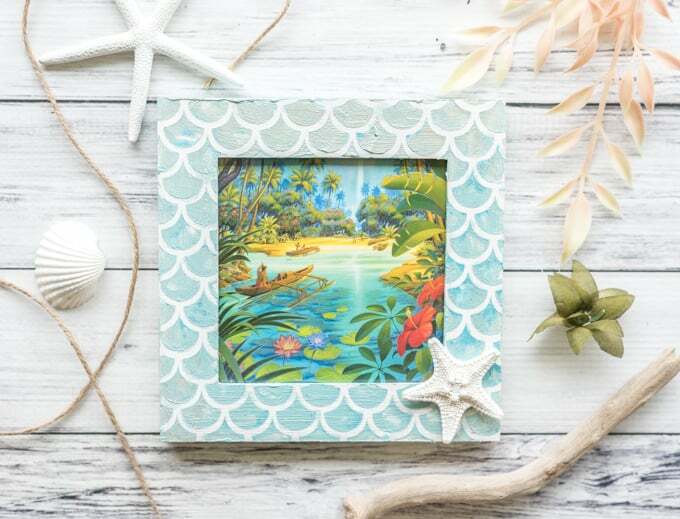 This DIY mermaid picture frame is so perfect for holding your summer vacation photos! 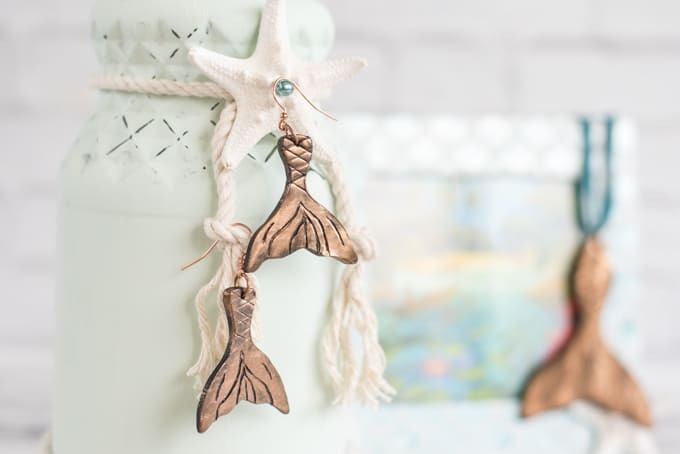 Nothing says summer like mermaids! 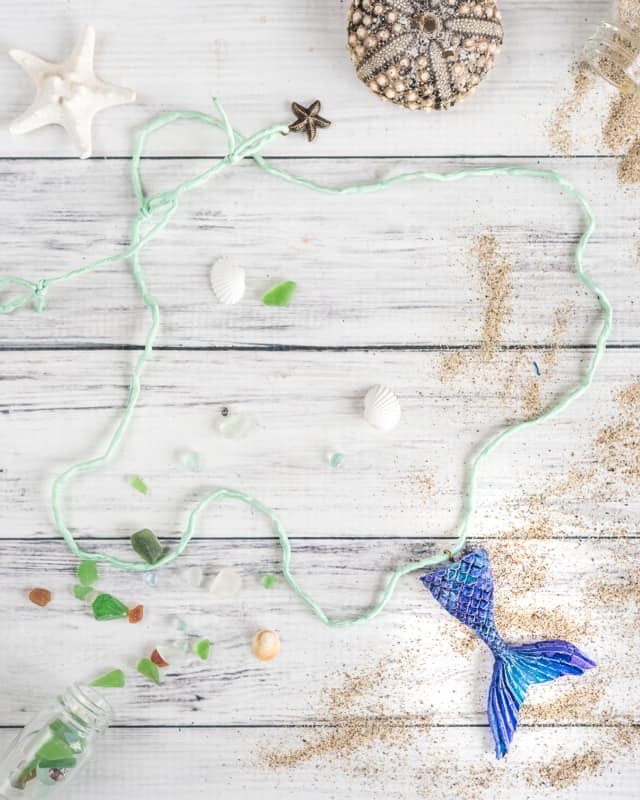 Or maybe that’s just me… Even though we’re currently enjoying our time in the mountains away from the sea, mermaids and basically everything beachy/nautical are never far from my mind! 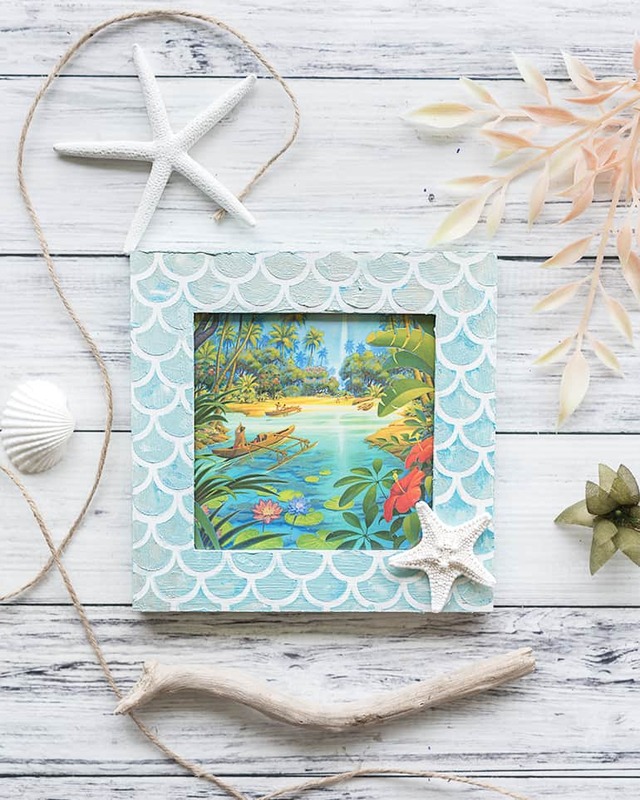 This DIY mermaid picture frame is absolutely perfect for saving summer memories or a vacation photo, plus it’s surprisingly simple to make. If you don’t already have a mermaid scale stencil, don’t worry. 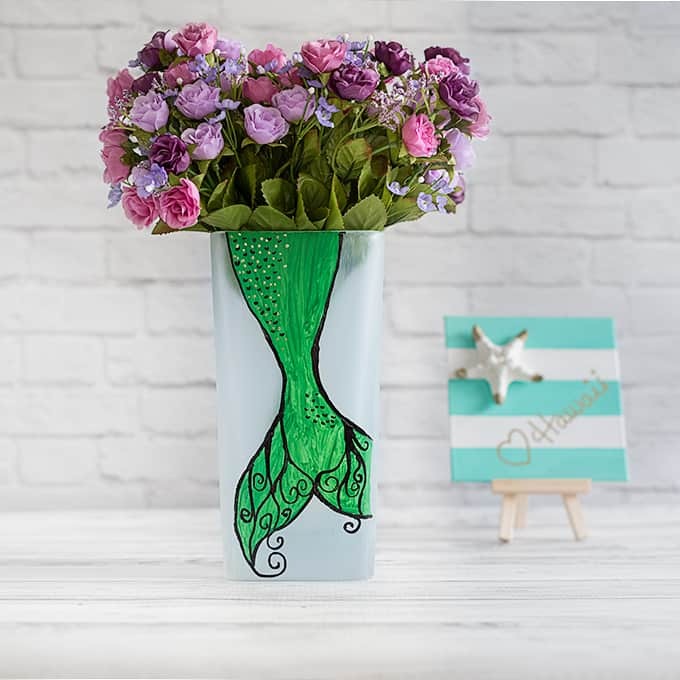 You can use my cut file or the PDF to hand cut your own and you’ll be on the way to having your own mermaid picture frame in no time! If you enjoy mixed media art, some of these materials will look very familiar to you. If you don’t, don’t stress! The supplies are fairly easy to find at craft stores and online. If I can find them in Hawaii, where the variety of craft supplies is comparatively limited, I’m sure you can find them, too! A picture frame – I suggest an unfinished wood frame. A paper mache or chipboard frame can work, too. Most of the options I’ve seen on Amazon are multi-packs like this one, so scope out your local craft store for singles! A gelato in a mermaid-y color. This pack of gelatos has some lovely mermaid options! Modeling paste. I used Texture Luxe in metallic pearl, but you can use ‘regular’ modeling paste medium and mix in a pearlescent powder or mica powder (or even some shimmery eyeshadow). 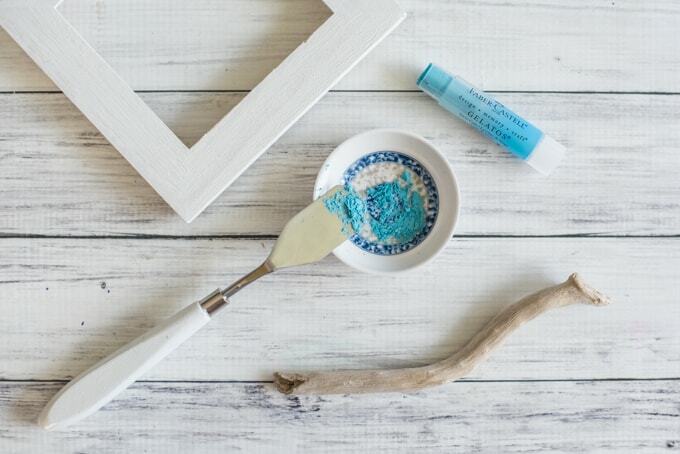 You can also make your own texture medium with supplies you probably already have at home. 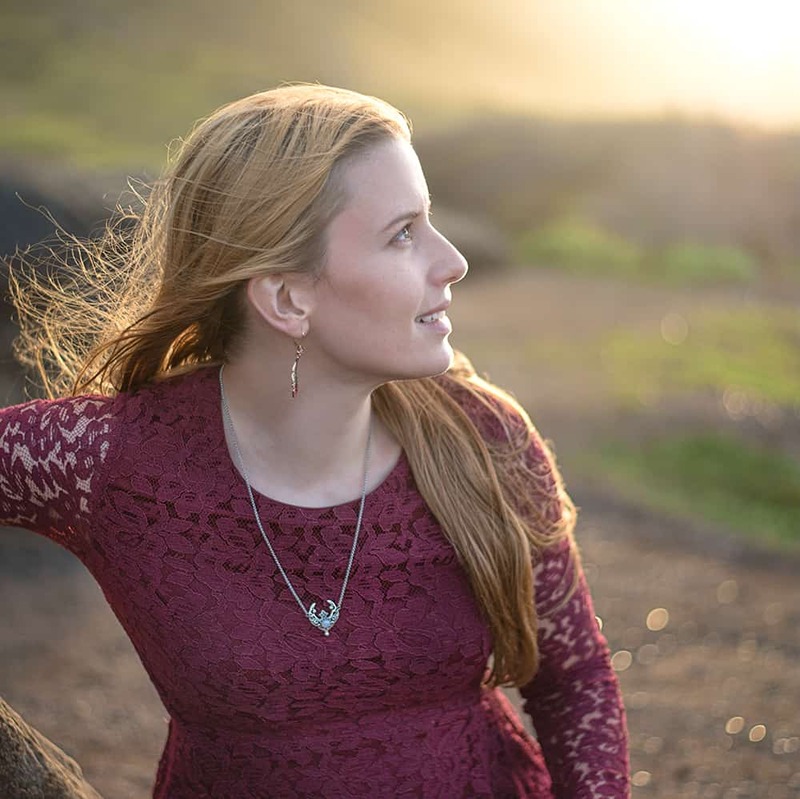 Check out this lovely post from Such a Pretty Mess to see how! A small bowl or other mixing container. A jar lid can work well. This 12×12″ option looks quite nice. I made my own scale stencil using my Silhouette Cameo and a sheet of transparency film. 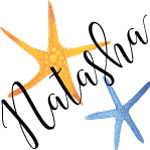 You can download my Silhouette file right here, or you can download a PDF of the design to cut by hand with a hobby knife. Transparency film makes for a nice, reusable stencil, but cardstock will work, too. The provided pattern is 8×6″. 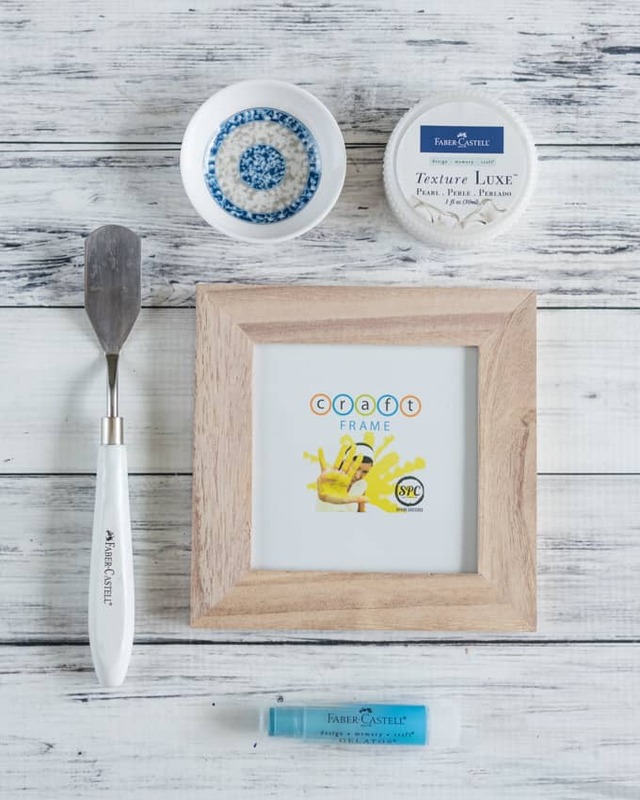 To use it on a larger frame, simply scale the design up when printed or in Silhouette Studio. If you don’t have any gelatos, modeling paste, or a palette knife, you might want to consider one of the Faber Castell mixed media kits. They’re a good value! 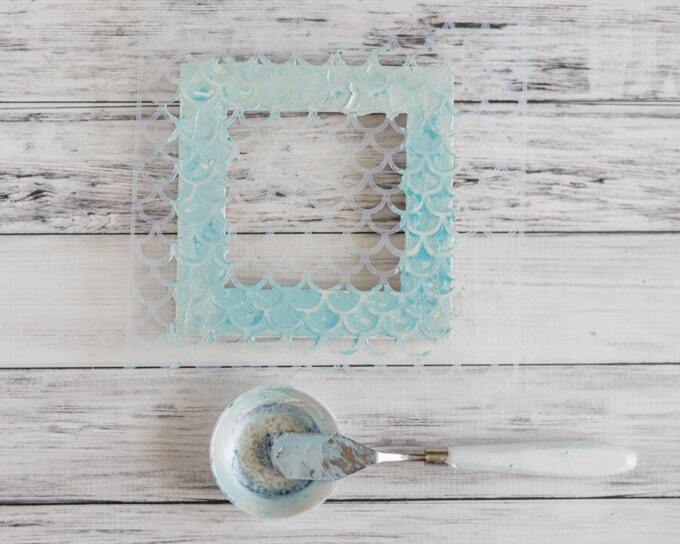 To begin with, remove the back and glass from your picture frame. Paint your frame with your base color – I used white. You may need to paint the frame in sections so you have somewhere dry to hold the frame while painting! Once the paint is dry, cut off about 1/4″ of your gelato and place it in your small dish. Use your pallet knife to cut/grind it up. Mix in some of your modeling paste. The exact amount needed will depend on the size of your frame. I prefer to mix in more paste, and gelato if needed, instead of risking “wasting” extra by scooping too much out at once. Mix to combine the paste and gelato, but don’t stress about making the color completely homogenous. Some variation in vibrance is fun and looks better! Hold your stencil in place and use your pallet knife to apply the gelato/paste mixture. As soon as you’ve covered the entire frame, carefully lift the stencil. Don’t let the paste dry with the stencil in place or it will be very difficult to remove! Allow the paste to fully dry. Once it’s dry, you can add shells, charms, or other embellishments. Hot glue is a quick and easy way to hold them in place, but Original Tacky Glue is fantastic if you don’t mind waiting a little bit for it to dry. Replace the glass and back with your picture inside the frame. 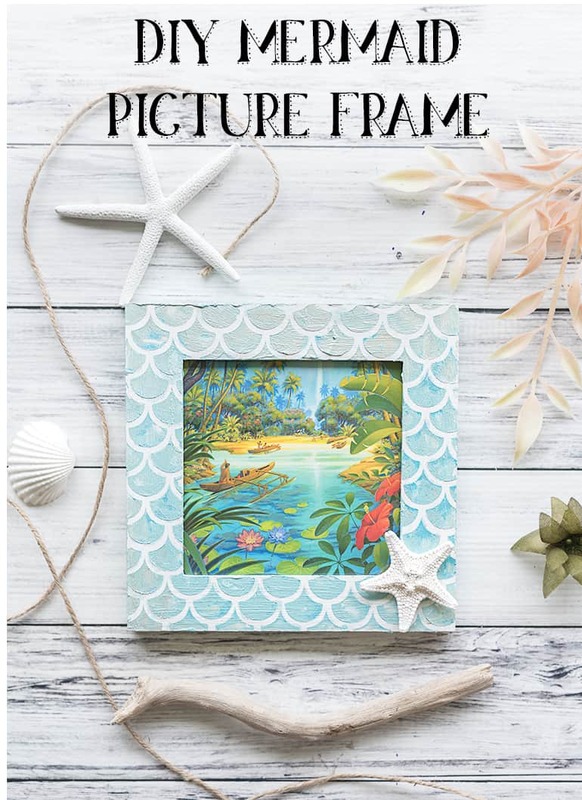 Enjoy your awesome new mermaid picture frame! 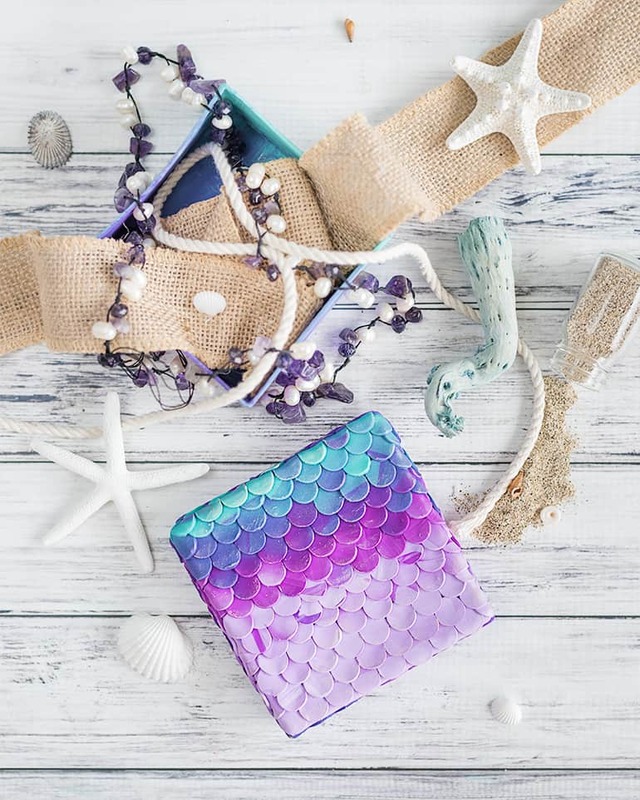 If you’re here for the mermaid theme, not necessarily the medium, then you might also enjoy this mermaid treasure box! Have you played around with mixed media projects before? What’s your favorite medium? That is a sweet frame! Interesting technique too!